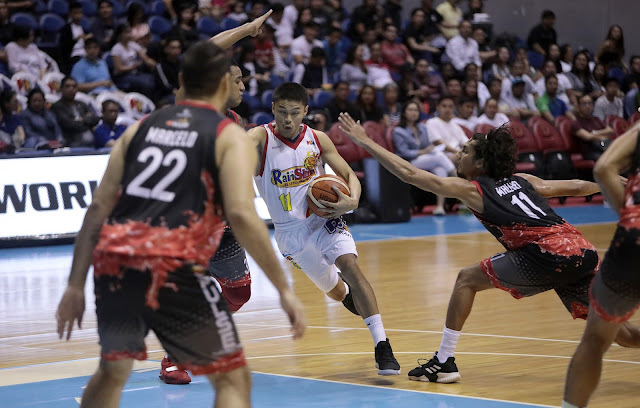 QUEZON CITY—The Rain Or Shine Elasto Painters put an end to the Phoenix Fuel Masters’ unbeaten run in the PBA Philippine Cup with a 98-94 overtime win on Sunday night at the Smart Araneta Coliseum. After an exchange of crucial baskets which ended in a Matt Wright triple with 47 seconds remaining, the Fuel Masters got a chance to tie the game as Calvin Abueva blocked Gabe Norwood’s jumper and got the rebound in the process. Perkins’ 27-point explosion went down the drain as Phoenix drops to second place at 5-1.